Rear end collisions are the most frequent type of car, truck, and motorcycle accident in New Jersey. Typically, drivers are unable to react in time to a vehicle quickly stopping or changing course, resulting in a rear end collision. There is a common misconception that the vehicle who did the rear ending is automatically at fault for the accident. 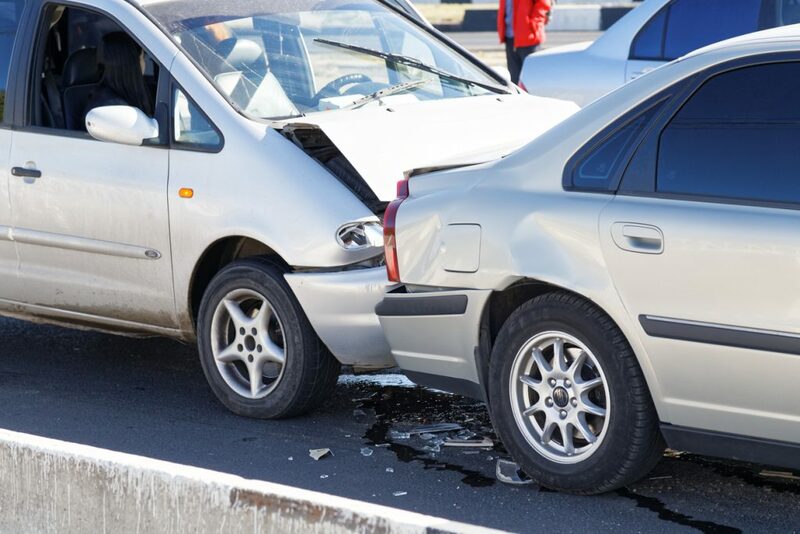 While that driver may be at a disadvantage from a legal standpoint, there are a litany of factors which must be considered in rear end accident personal injury claims. At The Law Office of Chamlin, Rosen, Uliano & Witherington, our personal injury lawyers work with the specific circumstances of each of our clients’ individual cases in order to seek full and fair compensation for personal injury claims. If you or a loved one has been injured in a rear end car accident, lean on the experience we have built through decades of serving clients from our local New Jersey communities including Ocean County, Freehold, Wall, West Long Branch, Eatontown, Ocean, Red Bank, Asbury Park, and all of Monmouth County. Call our office today to learn more about how we best serve your needs in the aftermath of an injurious rear end car accident in a free and confidential consultation. When can the Other Driver be Found at Fault for an Auto Accident in Monmouth County? Rear end collisions can seem innocuous, but they can lead to severe injuries including whiplash, brain injuries, spinal cord injuries, broken bones, paralysis, and more. In order to recover full and fair compensation for your injuries sustained in a rear end auto accident, our Wall personal injury lawyers will need to prove that the accident in question was directly caused by the negligent or reckless actions of another party. Most often this other party will be the other driver or drivers involved in the collision. The above mentioned actions may all be grounds to find the other driver(s) at fault, which can lead to a strong personal injury claim. The other primary factor will be proving that you were in fact injured in the accident. A great first step for victims of any kind of injurious accident is to seek medical treatment as soon as possible. This is the only way to get an official diagnosis of your injuries (even if they seem obvious to you), and will connect your injuries back to your rear end auto accident. The more quickly you are able to receive this diagnosis, the stronger the connection back to your accident. Also, many injuries are not immediately apparent and may take days or weeks to present symptoms. With these key pieces in place, our Wall auto accident lawyers will strive to recover damages for medical bills, lost wages, pain and suffering, loss of consortium, disfigurement, and more. The personal injury attorneys of Chamlin, Rosen, Uliano & Witherington have extensive experience seeking financial compensation for all manner of motor vehicle accidents for local clients in New Jersey towns including Ocean, Freehold, Red Bank, Asbury Park, West Long Branch, Eatontown, Wall, Ocean County, and Monmouth County. Our firm is dedicated to protecting our clients’ legal rights and fighting to secure their family’s financial future in the wake of an injurious accident. To speak with an experienced legal representative in a free and confidential consultation today, contact us online or over the phone by calling our West Long Branch offices at (732) 440-3950. A member of our team will be standing by to discuss your individual needs and concerns when it comes to your rear end motor vehicle accident.